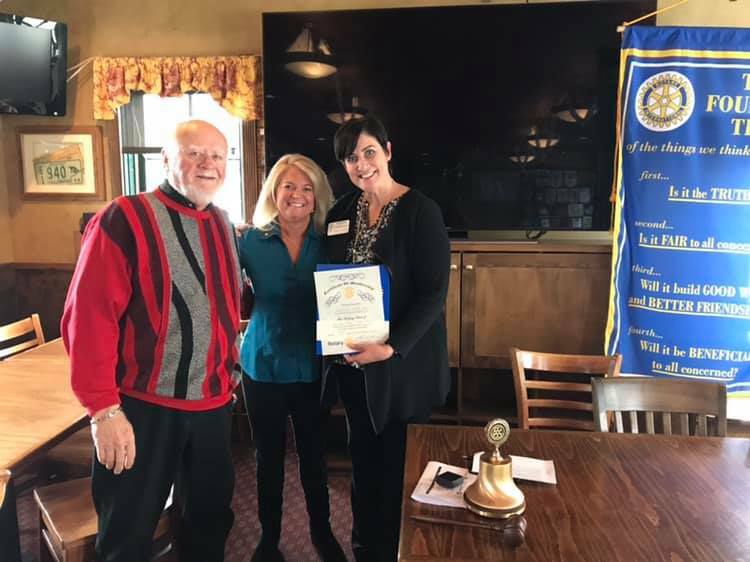 We are so excited to welcome our newest inductee, Gretchen Gallacher, to the Breckenridge Mountain Rotary Club! We are so honored and excited to welcome our newest member to our “family”!! Gretchen was officially inducted today, shown with her sponsor Dennis & our lovely President Robin. Gretchen has been very active in various volunteer activities, has joined us for many of our other functions, and brings her enthusiasm and experience to help us do more great things together!